Somehow I missed the awards’ ceremony when the “Best Cannoli on Planet Earth” was bestowed on Caffe Palermo? 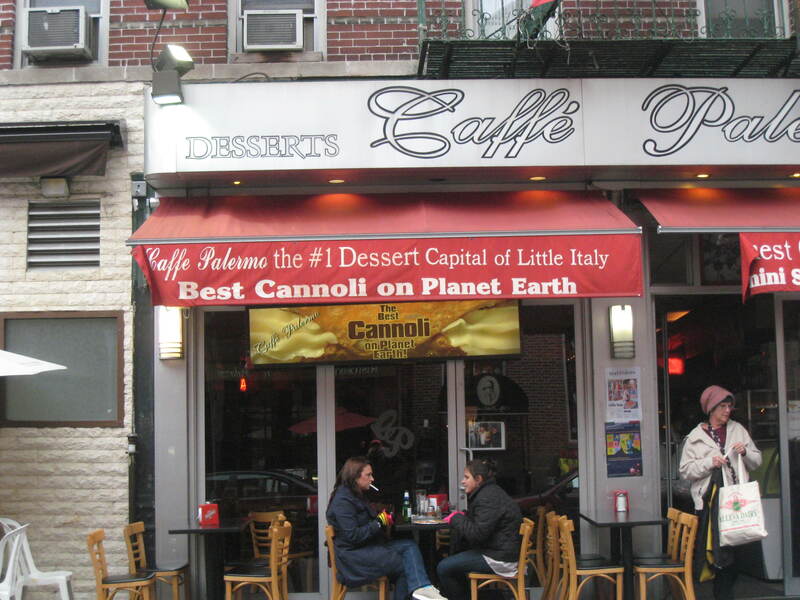 Was it held on the same day they gave out the award for “Number 1 Dessert Capital in Little Italy?” Is it a lifetime achievement award as well or could possibly some other cannoli, made, say, in a cafe in Addis Ababa supplant Caffe Palermo as best on planet earth. And who gets to judge? I’d like to know. Have a fantastically spooky weekend everyone. See you on Election Day with a new Chow City adventure. We won’t know anything about it until the people have spoken on election day.